 I’m going to be adding some photos to this shortly, I just haven’t got around to take photos when I wrote this, so I apologise if it is graphic free. I’ll update it as soon as I get time. In the past, the Chinese brands were guilty of copytetion, taking copies of established brands products and pushing them onto the market. In some cases, you picked up reasonable quality gear at a budget price if you couldn’t afford the expensive stuff, in other cases you picked up poor quality copies that last a matter of months or weeks before dying and leaving you out of pocket with no warranty. 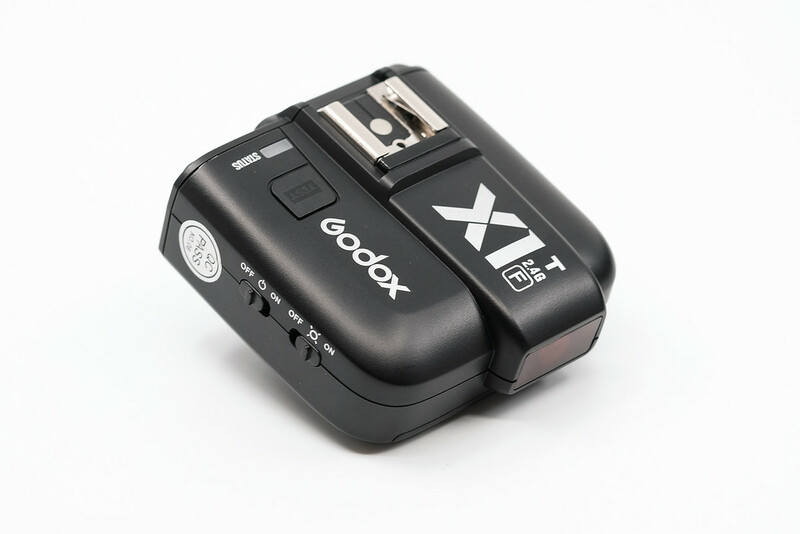 Godox is one of these brands that is really starting to impress me. They started off with good quality copies, but these days they are innovating with their own solutions. Lighting solutions, like the AD200 are a good indication of Godox doing good things differently and right. Godox were one of the first brands to offer any form of wireless TTL support for Fujifilm, and my initial tests on the TT350F were very positive, both from a construction quality and lighting perspective. It was a small flash that offered a size to match the small mirrorless bodies. I previously used an Elinchrom Ranger with cactus triggers, but after testing the X1F and AD200, I sold my Elinchrom gear and I’ve now replaced it with Godox, using a combination of a TT350F, TT685F and a pair of AD200’s. 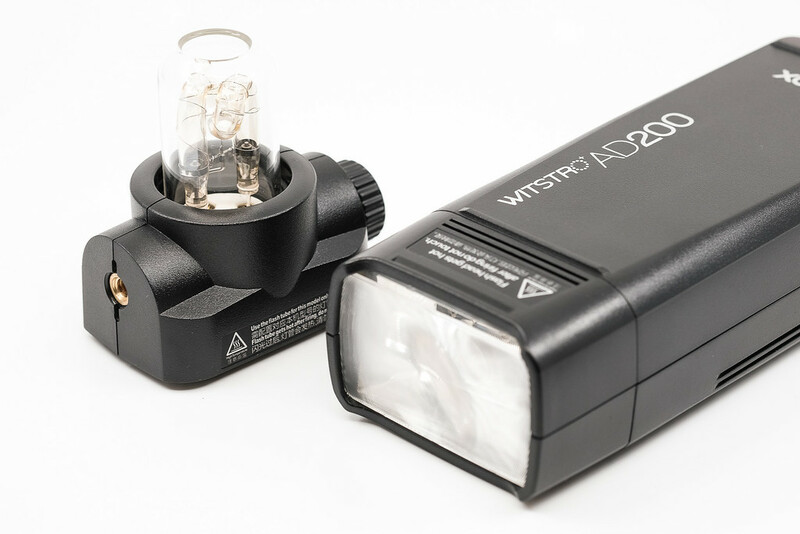 Products like the AD200 offer the option of entering the mobile strobe market with a small device that is the size of a large flash, offering the flexibility of a flash or strobe head depending on your requirements. The reason why I will continue to recommend it to photographers is that it allows lighting novices to progressively build a lighting system as your funding and individual skills allow. It also enables photographers to get in at a low cost which won’t scare novices. The big problem in the past was that the capital outlay required to get into lighting was a little scary and this had a tendency to scare away potential entrants to the market. If you purchased Elinchrom, Bowens or Profoto, you were generally in for a big initial cost and as a result, people were scared to buy because lighting is one of those areas that you don’t know if you will continue with. The second issue is that it was difficult to combine speedlights and strobes without working in manual, and manual with flash is scary for novices. 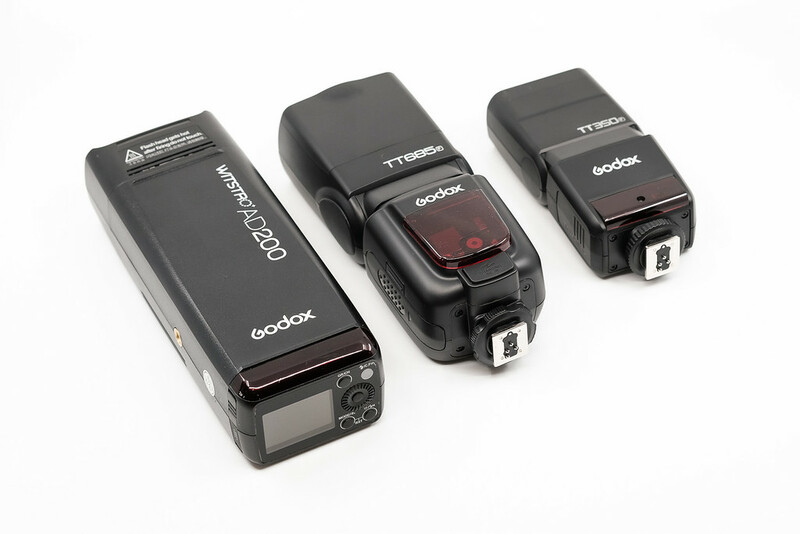 With Godox, you can start with a speedlight, add a trigger, and progressively add more flashes and strobes as time goes on without losing your previous investment. The advantage Godox offer over the more established brands like Elinchrom and Profoto, is the ability to mix and match speedlights and strobes without using triggers. Your speedlights can be used to complement your strobes in situations where a secondary light may not need the power of a 200WS or 400WS strobe. This simply isn’t possible with any other strobe manufacturer like Elinchrom, Profoto or Bowens because they don’t manufacture compatible speedlights. 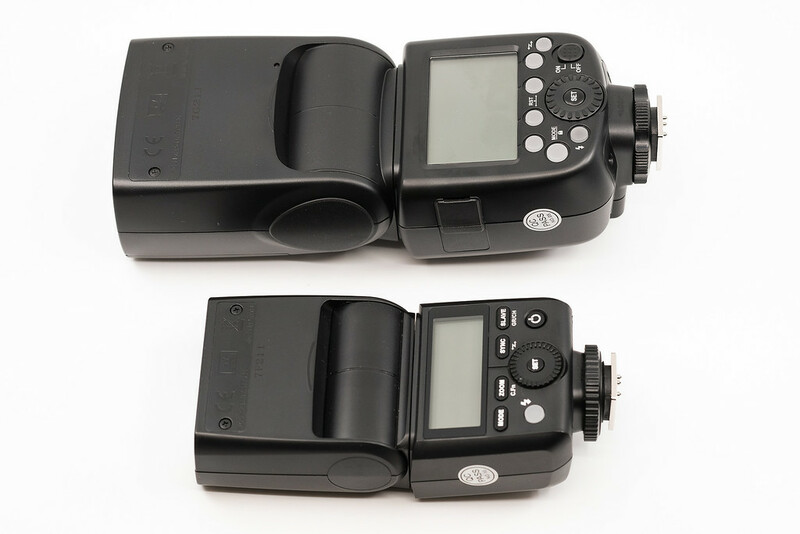 You can plug on some receivers but you lose any TTL or speedlight control if you go down that path. Profoto has just released a speedlight, but the pricing of their speedlight is more expensive that a 600W battery strobe from Godox. 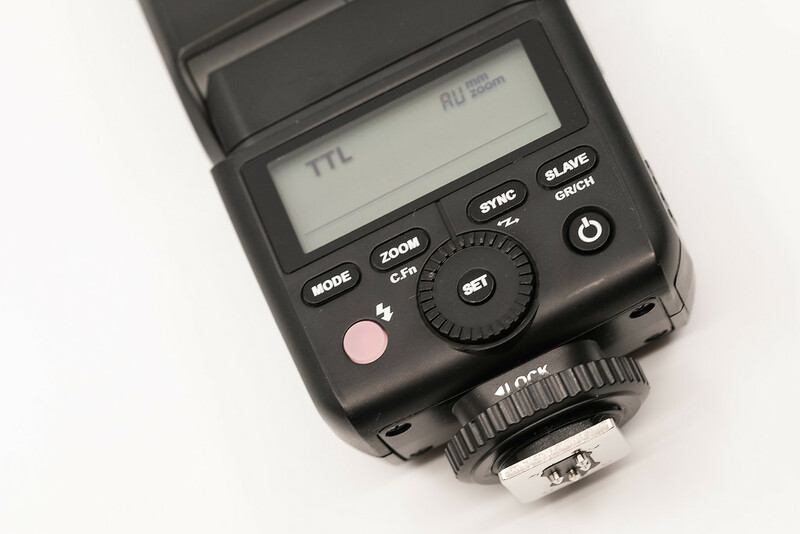 If you are new to flash, start small with a TT350F speedlight for on camera flash. It gives you the ability to get away from using in internal flash and start using the external Flash for bouncing the flash off walls and ceilings with a speedlight that actually fits the small size of the Fujifilm bodies. Most of the full size speedlights dwarf the size of a Fujifilm body and this provides a small compact option which is strong enough for bouncing, and small enough to carry around in your camera bag. This is a great entrance point to new photographers and a great way to improve image quality. Whilst the TT350F is small, it is strong enough to light most small rooms and is substantially better than a built in flash. Step 2 – Introduce yourself to off camera flash with a trigger and a small softbox. Once you have a basic understanding of on camera flash, I would add the X1F trigger along with a small soft box and a light stand (if you have budget). This will allow you to start getting some off camera flash going and a small softbox can be hand held if you don’t have the budget for a tripod or a light stand but these can be picked up cheaply second hand on eBay. Please note that the softbox you buy will need to have a speedlight bracket as some softboxes are designed for specific mounts (Elinchrom, Bowens etc.) and the speedlight attachment allows you to mount a softbox onto a speedlight. There are softboxes that use an umbrella mount which is cheaper, but I still think the flexibility of a Bowens mount speedlight attachment is worth the initial investment. Godox offer both 40cm and 60cm square softboxes which come with a speedlight bowens mount and I’d recommend the 40cm as a good starting point for a small speedlight. The third thing I would add is a 5 in 1 reflector if you don’t already have one (most people should but many don’t). A reflector will allow you to add an additional bit of lighting at an extremely low cost. You can light shadows under the chin or balance some lighting as required and the 5 in 1’s are also valuable because you can also use them as a substitute softbox for a secondary flash so they are not confined to being a reflector. Some people will say this should be something you should buy in the beginning and whilst I agree, most novices don’t fully understand how and why to use reflectors outdoors so most would not have purchased one up to this point. I’m going to recommend getting a trigrip reflector, not a Godox versions. Whilst the original Lastolite trigrip are amazing, they also cost a small fortune, there are plenty of cheaper versions like the Selens trigrip which will provide the ability to mount it to a stand or hand hold it with one hand because standard reflectors are quite floppy and hard to work with one handed. Once you are getting to grips with off camera flash and balancing the lighting with a reflector, it’s time to add a slightly stronger flash, or strobe. My first choice would be an AD200 which is small enough to fit in a bag but still offers a 200WS output which is powerful enough for most indoor requirements. With a large softbox, this little strobe will offer a massive amount of flexibility and can be used outdoors as long as you’re not trying to overpower the sun with a big softbox. The AD200 starts to bridge into the more expensive barrier (about A$400) but so if this isn’t within budget, a larger speedlight such as the TT685 might be a more palatable option. It’s also at this point would start to investigate some large octa soft boxes between 80-100cm as these provide a large light source give you softer shadows. Where to learn about lighting? On Facebook, you’ll find a number of sites dedicated to off camera flash and lighting. Have a look in your area and you should find something. There are plenty of free tutorials on youtube but they can be hit and miss depending on who is doing the instructing. If you go down the path of paid, have a look at KelbyOne.com as a starting point, more specifically the Joe McNally stuff. Joe McNally is one of the best lighting instructors and he offers a variety of courses that take you from beginner on camera flash through to using off camera flash with one or multiple speedlights and/or strobes. Whilst his lighting tutorials are focussed specifically on Nikon gear, the approach to lighting is universal. They do offer a trial so I suggest you take advantage of it to try it out.